Tucked away on a cobbled street under the shadow of St Thomas the Martyr Church in Redcliffe is the Seven Stars Inn, Bristol’s original “Beer Museum”. 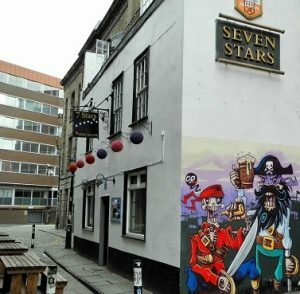 One of Bristol’s oldest character pubs dating back to the late 1500’s (the pavement still has iron edges to prevent damage by heavy cart-wheeled carriages), The Seven Stars remains largely unchanged from its origins in a city now packed with an ever changing sea of trendy bars and clubs. We offer a fantastic selection of over 30 different cask ales every week, plus traditional “West Country” ciders and perries. With a décor best described as a unique mix of both shabby and chic we are located just off Bristol bridge in the heart of Redcliffe Village, close to the commercial heart of the city we are open all day and offer a warm, some would say old fashioned welcome to customers old and new. We are independent, “free”, and happy to be: We have survived the wars, the bombings, the Luftwaffe, the riots, the poll tax, the developers and 1960’s planners who built some truly awful buildings. The Seven Stars even did its bit to help end the slave trade – but while few remember – we still do. 2016 saw the Seven Stars featured on both Michael Portillo’s Great British Railway Journeys and the Hairy Bikers series Pubs That Built Britain in what turned out to be incredibly amusing and entertaining days. 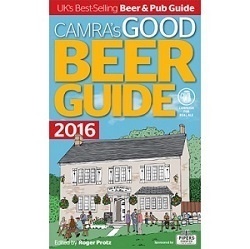 Awarded CAMRA Bristol and District Pub of the Year Runner Up in 2014. Awarded CAMRA Bristol and District Pub of the Year Runner Up in 2013. Winner of CAMRA Bristol and District Pub of the Year in 2011. Winner of CAMRA Bristol and District Pub of the Year in 2010. Awarded CAMRA Bristol and District Pub of the Year Runner Up in 2009. 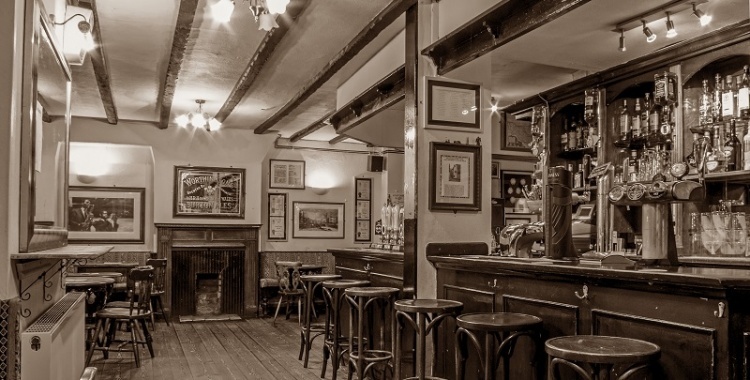 So if a traditional olde style pub with pool table, dart board, stories, history, Morris dancers, music and more are what you are looking for – Come and visit. We are open all day Monday to Saturday Mid-day to 11 PM. Sunday we open from mid-day to 10.30 PM.